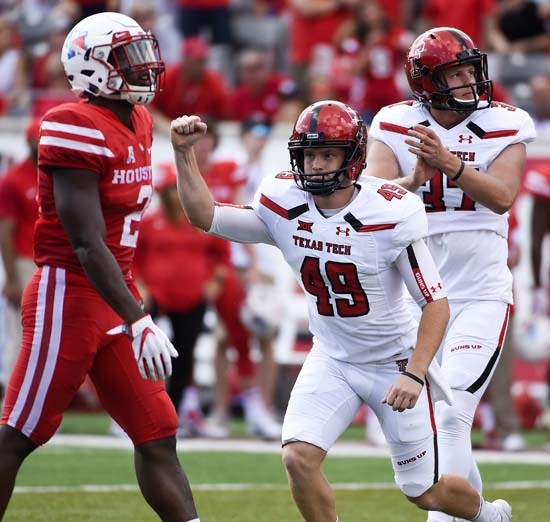 HOUSTON, Texas (KTRK) -- Nic Shimonek passed for 321 yards and two scores and Texas Tech defeated Houston 27-24 on Saturday, snapping the Cougars' 16-game home winning streak. Shimonek's favorite target was Keke Coutee, who made 11 catches for 161 yards and a score, which came on a 77-yard pass in the third quarter. "He's one of the best playmakers, if not the best playmaker in the country," Shimonek said. "I've said on numerous occasions he's one of those guys if I throw the ball behind the line of scrimmage he can take it to the house. That gives me confidence being able to throw it to him. "He can make something happen with it and he catches basically everything I throw in his direction." Houston (2-1) owned the nation's longest active home winning streak entering Saturday. The last home loss for Houston was Nov. 8, 2014, against Tulane, 31-24. The loss snaps a seven-game winning streak for the Cougars against teams from Power 5 conferences. The last loss to Vanderbilt 41-24 in the BBVA Compass Bowl on Jan. 4, 2014. "It was big, we know that nobody's won here in 16 games," Texas Tech coach Kliff Kingsbury said. "Big time, Top 10 programs come in here and it's a tough place to play. It's hot, they've got a great stadium. I coached here for four years. Not many people beat us here. So I understand the level of pride that team takes, especially when a Power 5 team comes in. You get their best shot and we got their best shot." 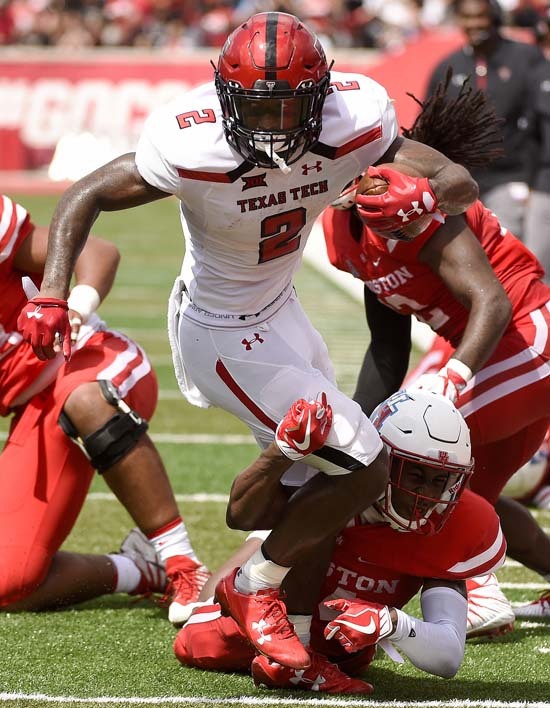 This is the first win for the Red Raiders (3-0) against the Cougars in Houston since a 38-26 Southwest Conference game in the Astrodome on Nov. 25, 1995. Houston quarterback Kyle Allen struggled, finishing 24 of 39 for 217 yards with one touchdown and two interceptions. Kyle Postma replaced Allen midway through the fourth quarter. Postma was 8 of 13 for 100 yards and a score. Postma also had four carries for 52 yards, including a nine-yard touchdown run. 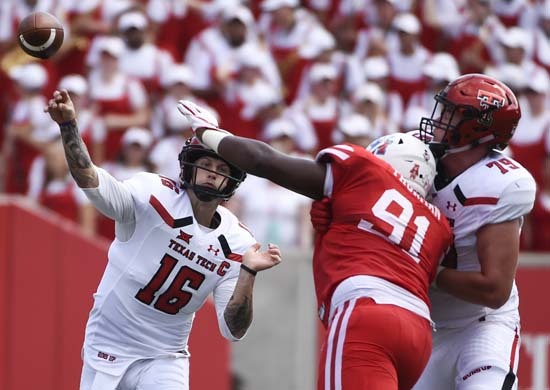 "(Postma) was going to give us the best opportunity at that point when the complextion of the game changed and started to get that way coverage wise," Houston coach Major Applewhite said. "I thought he did a great job. Came in, took care of the football and led us on some scoring drives." Allen has started all three games this season for Houston. 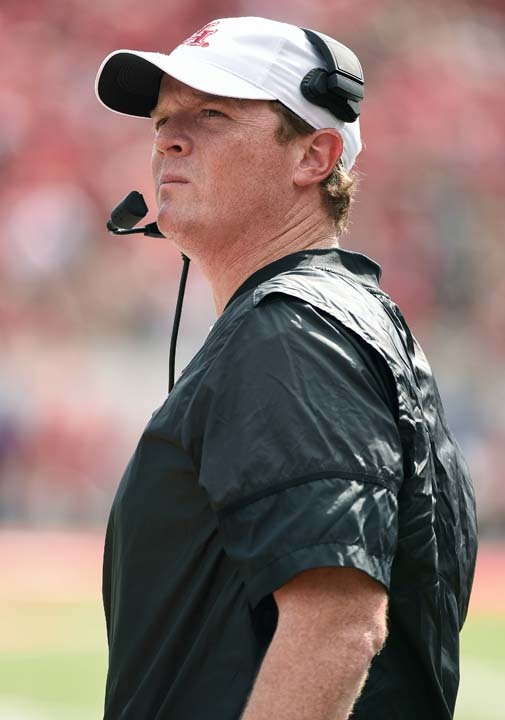 "Every job is open," Applewhite said when asked about the quarterback position moving forward. 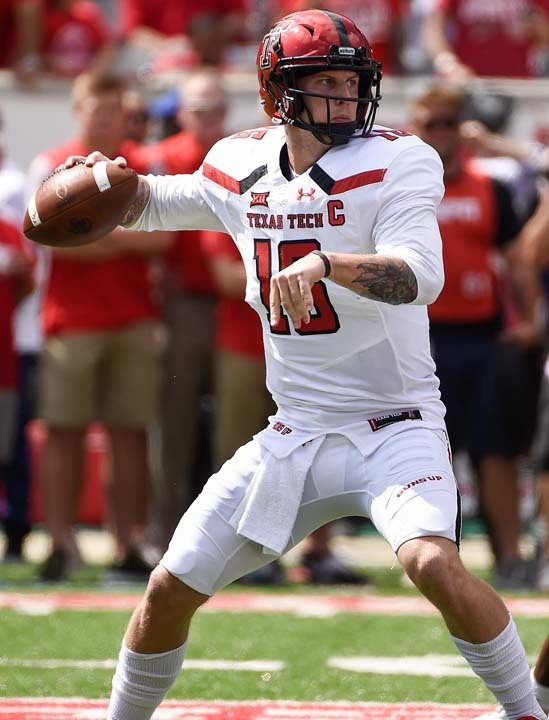 Texas Tech: The Red Raiders have started 3-0 for the fifth time in the last seven seasons and are 11-2 against non-conference opponents under Kliff Kingsbury. 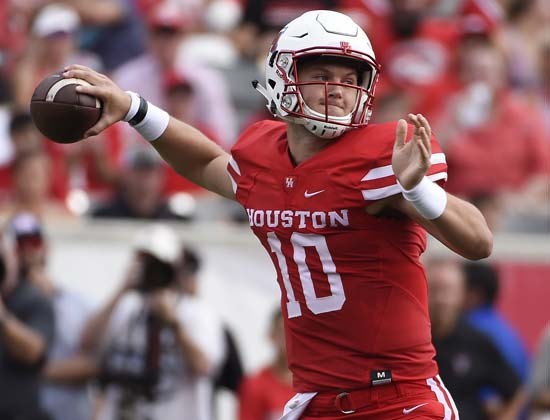 Houston: The Cougars offense struggled mightily against Texas Tech. Allen has turned the ball over six times in his first three games as the Cougars' starting quarterback. Allen has thrown four interceptions and fumbled twice. 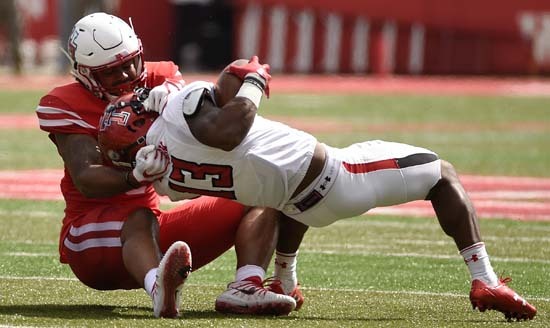 Texas Tech junior defensive back Vaughnte Dorsey was injured on kickoff coverage midway through the fourth quarter and was removed on a stretcher. The injury, with 7:26 left in the fourth quarter, happened on the Houston sideline. 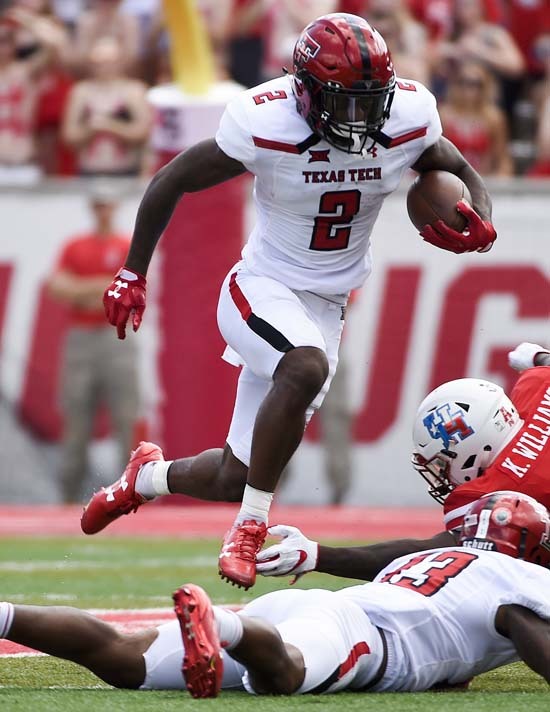 The injury came after the Red Raiders had taken a 27-10 lead. Kingsbury confirmed after the game, Dorsey had suffered a head injury and would be taken to a precautionary checkup. "You go over there and check out what's going on. He seemed to be OK," Kingsbury said. "It's awful to see that. You start praying." Dorsey did give thumbs up to the crowd as he was carted out of the stadium. "From the feedback I got from the trainers, I think that was positive," Kingsbury said about the thumbs up. "I don't want to go into details but I felt positive about that."